Whether you want to visit the newly opened Louvre Abu Dhabi or explore the traditional souks, the cultural capital of the UAE is fast becoming the place to be with all year round events and activities making it the perfect place for MICE planners. 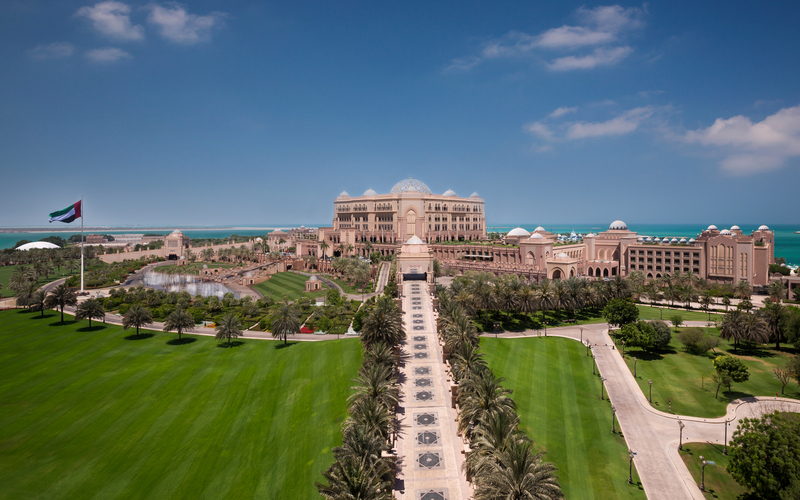 Sprawling over 85 hectares of landscaped gardens in the heart of the capital, Emirates Palace is an iconic landmark. Welcoming world leaders, business travellers and holiday-makers from around the world, Emirates Palace offers memorable and unique experiences showcasing Arabian culture. 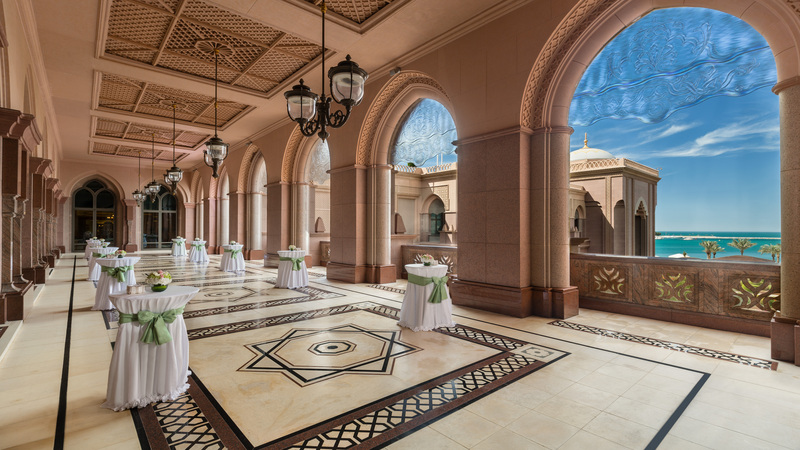 With the main Palace building stretching over a kilometre from wing to wing, business travellers have plenty of spaces to choose from to meet their event needs. Meeting and conference spaces exceed 7,000 sqm with the Auditorium and Ballroom accommodating 1,100 and 2,400 guests, respectively. In addition, over 40 meeting rooms, six large terraces and a variety of pre-function areas provide many options for private meetings, cocktail receptions, banquets, concerts and congresses. The multi-purpose Business Centre, located beside the Lobby on the fourth floor of the Palace, is an office away from home for the hardworking business traveler. At the Emirates Centre and Island Centre, our corporate guests are spoiled for choice with a range of conference, board and meeting rooms. Equipped with cutting-edge technology including plasma screens, broadcast camera connectivity and audiovisual systems. The domed atrium is the largest of 114 domes across the hotel. At 72 meters high and 42 meters wide, this dome is plated with 22-carat gold, mother of pearl and crystals. The gold theme continues throughout the hotel, evoking Arabian luxury and opulence. In Le Cafe, you can drink a a 24 carat gold flaked Cappuccino, or try the Palace’s signature dish, the Emirates Palace Camel Burger – also dusted with 24-carat gold! If you are looking to spend some time outside then there’s a variety of open-air function areas for private meetings, cocktail receptions, banquets, concerts and congresses. With over 85 hectares of landscaped gardens and lawns, take a break from the city to experience some green space. 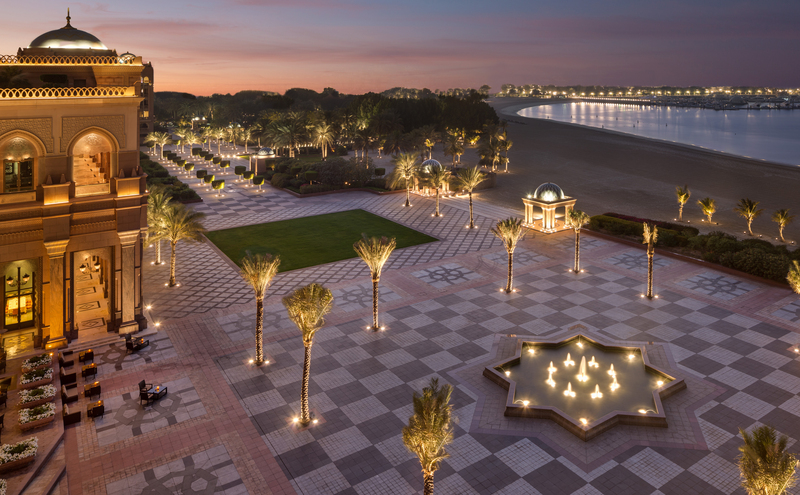 Or, if a sea view is better suited, Emirates Palace also has its own 1.2km stretch of beach and a private marina which can also be used for an afternoon of adrenaline filled water sports. 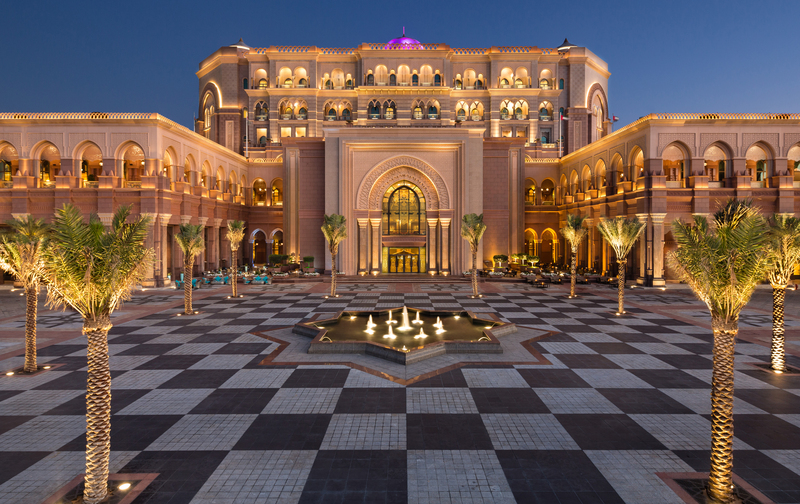 For incentive groups, Emirates Palace offers plenty of options. Choose from watersports, yoga, beach volleyball, football and even camel rides on the beach or leave the Palace for the day to visit the Sheikh Zayed Grand Mosque, a falconry hospital or take a helicopter tour over the capital’s landmarks. With such diverse venue options, Emirates Palace played host to a spectacular cultural calendar including the Abu Dhabi Festival and the best in world sports action, such Polo at the Palace. Awarded World’s Leading Conference Hotel 2018 in the World Travel Awards, join influential figures from a multitude of industries to see why. Why choose Pan Pacific Singapore?